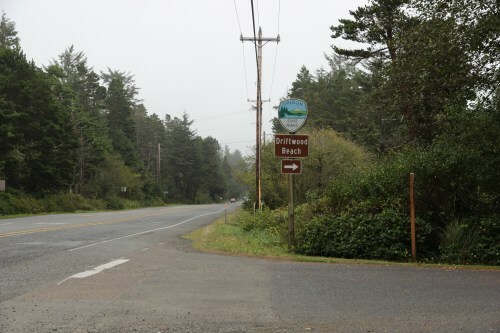 Hwy 101 mile marker 153. 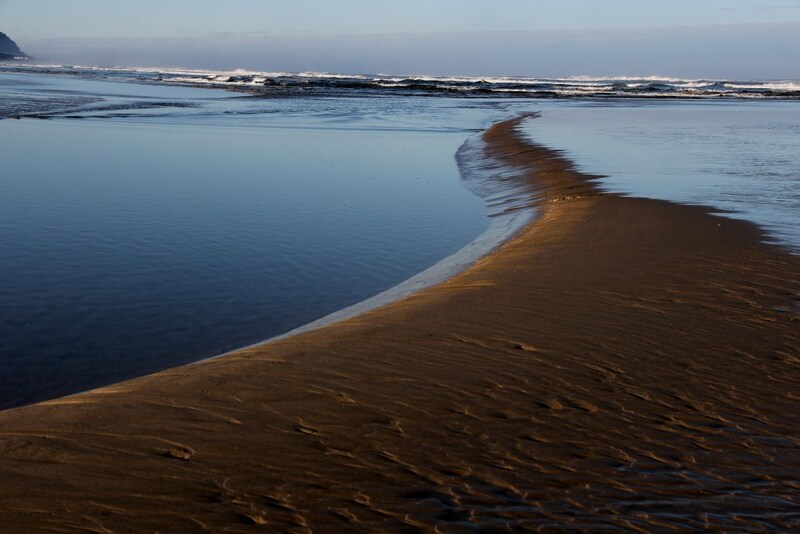 Driftwood Beach State Recreation Site provides access to a long beach which backs to sandstone cliffs about 10-15 feet tall. 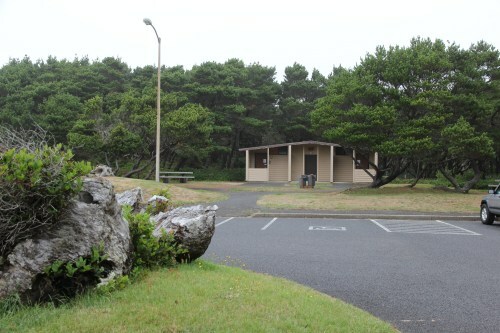 Numerous small motels and cabins are available in this area, which is near the town of Yachats. 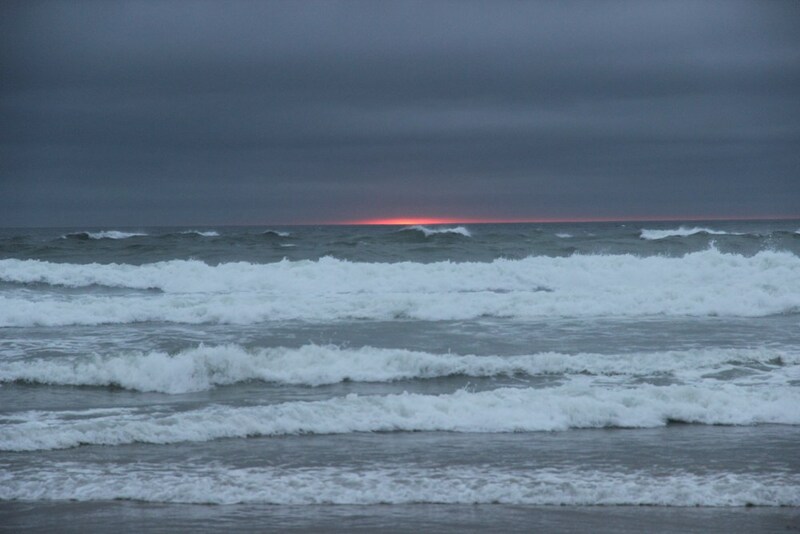 Sunset was approaching. Unfortunately there was a full cloud cover. No sunset pix tonight. 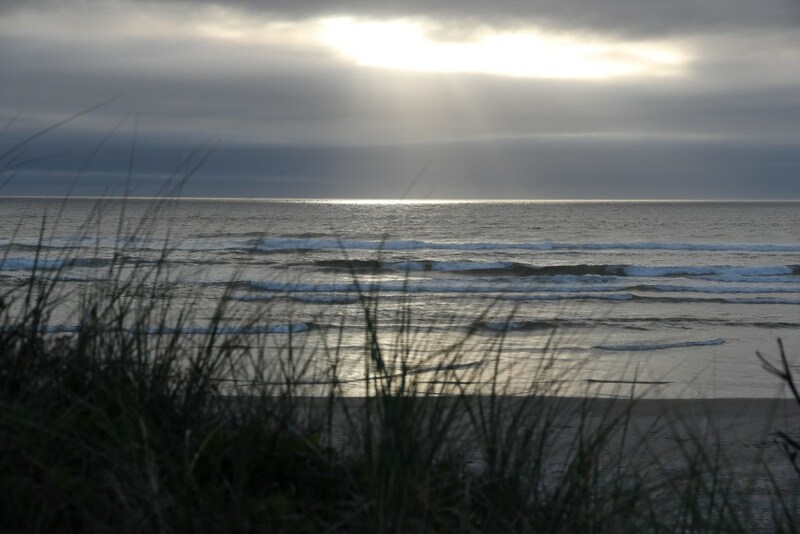 For a brief few moments, the junction of the clouds and the ocean glowed.